You’ve seen me feature pieces from SheIn here and there on my blog and IG and I always get a ton of messages asking about sizing, quality, shipping, etc. 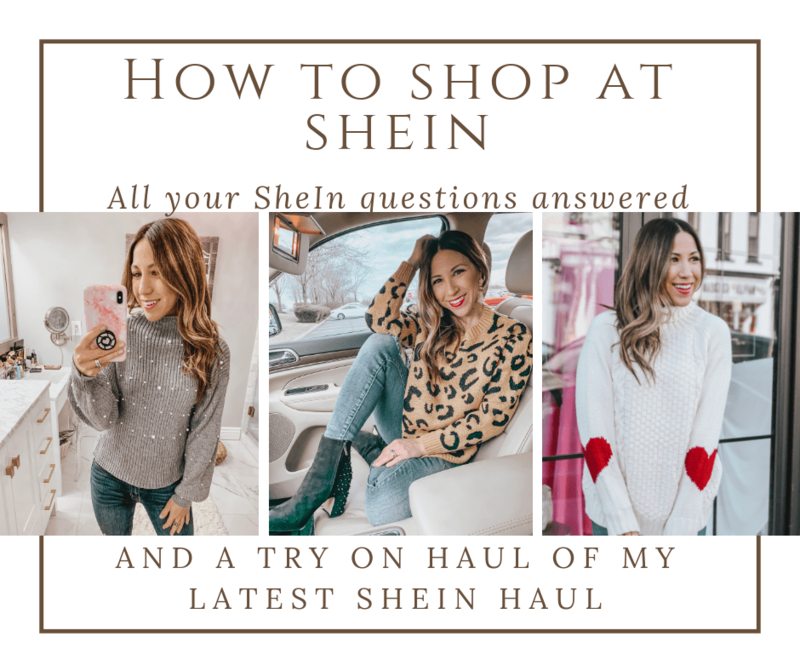 So to make this easy I thought I would share my tips for how to shop at SheIn and include my latest try on haul of the latest pieces I’ve gotten. Question 1 – How’s the quality? SheIn has become one of my go to sites for ordering trendy pieces at super affordable price points. If there’s a trend you want to try but you know it’s not gonna stay in style then scope out the piece at SheIn. The quality for the price point is usually spot on. These aren’t pieces that will last you for years and that’s not what SheIn is for in my opinion. They make pieces that won’t break the bank but allow you to incorporate fill ins into your closet and try trends while staying in a budget. I’ve been pleasantly surprised by the quality in the pieces I’ve received. I’d say the quality is very similar to the Amazon pieces I featured in my Amazon Haul blog post found here. Question 2 – How’s the sizing? General rule for me is to size up at least 1 size. Some items are all one size fits most but for other items I almost always size up. The pieces come from China so things usually run small. Question 3 – Can I trust buying from SheIn? The answer is absolutely yes. We’ve all seen those fake sites on Facebook advertising clothes and when you get them they look completely different. SheIn is not one of those sites. My biggest advice when shopping at SheIn is read the reviews of the item you are looking at and often times people who bought the item uploaded photos for you to see how they fit them. My next piece of advice is to follow the advice of any bloggers you follow to see what they have featured. 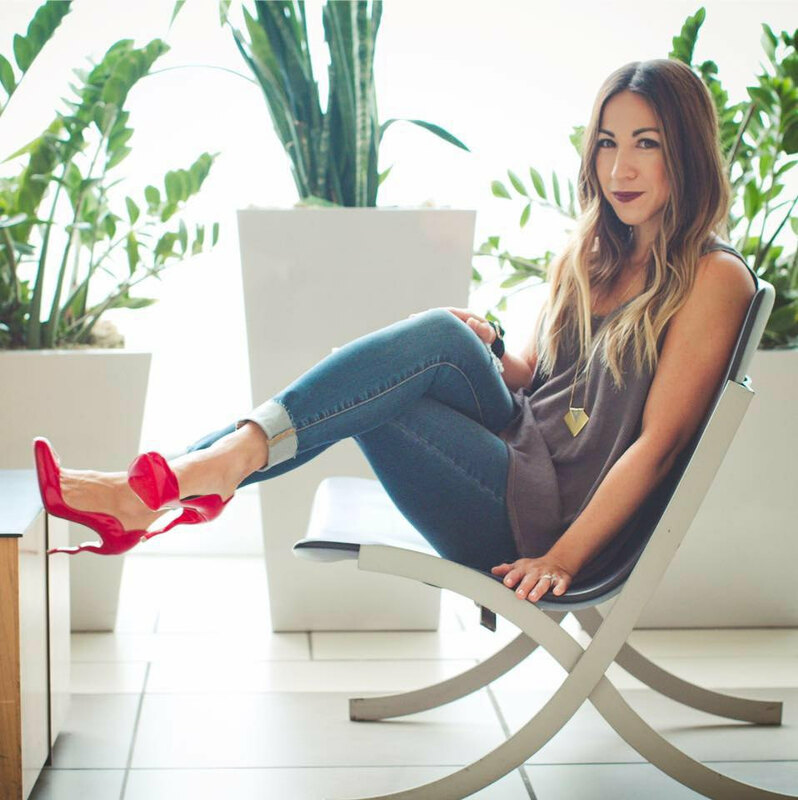 My job as a blogger is to show you plenty of photos showcasing the style and fit and to scope out the most wearable items from what can be a very overwhelming website with a TON of choices. Keep in mind shipping does take awhile so give yourself plenty of time when ordering. You all went bananas for the Amazon pieces I featured so I know you all appreciate the lower price point when buying clothes so I think you’ll really love shopping at SheIn and I hope these how to shop at SheIn tips can help you when shopping there. I just got 5 new pieces and have uploaded a try on to my IG stories and saved it to my highlights. As a bonus if you use code “tammy1” you can save an additional 20% off your SheIn purchases! The big trend for the next month is anything hearts and I scored 2 pieces from SheIn that are two of my favorite sweaters. This turtleneck is so cute and I love the subdued Valentine’s Day look with the hearts on the arms. Cable knit styling makes it a classic too. Here is the other heart sweater I got and I adore this one. Slouchy fit and can easily be dressed up or down. This one comes in black, gray and maroon. Still going strong with my leopard game! This one has a slightly boxy fit to it but nice and thick so it’s very warm. O-M-G! This coat you guys. First off you would NEVER believe the quality of this one for only $38. It looks and feels way more expensive. Out of everything I got this is hands down my favorite. It fits me so tailored which I was surprised about being so petite. It’s lined and while it’s not a heavy coat (you won’t wear this on a freezing cold day) it’s perfect for a night out and would make a great fall coat. HIGHLY RECOMMEND this coat. Such a classic fit and style. This sweater looked so small out of the box but once I put it on it fit perfectly. It’s not meant to be oversized. I think this is a great sweater for wearing to work with slacks or a cute option for date night. Also comes in a mauvy pink color too. I was going to do my first Shopping Cart Sunday blog post but being I had some cute Valentine’s Day options in this haul I wanted to get this post out to you sooner. So first series in Shopping Cart Sunday will be in 1 week! If you love any of the options for love day I would encourage you to order now so they are here in time for Valentine’s Day! And don’t forget to use code “tammy1” for 20% off your SheIn purchases! See you back here Tuesday for my birthday FAQ blog post! One sweater is cuter than the other! The coat is adorable! . Perfect length and plaid!